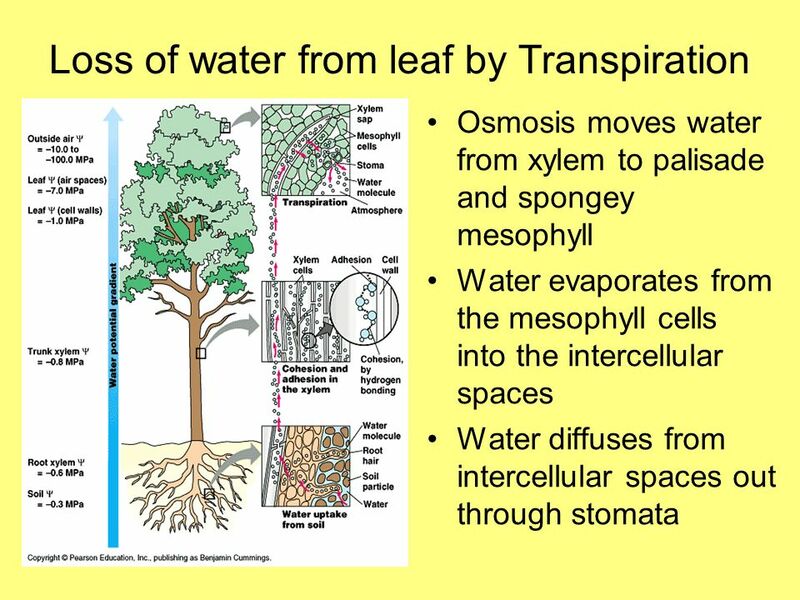 Transport in Plants Explain the need for transport systems in multicellular plants in terms of size and surface- area-to-volume ratio. 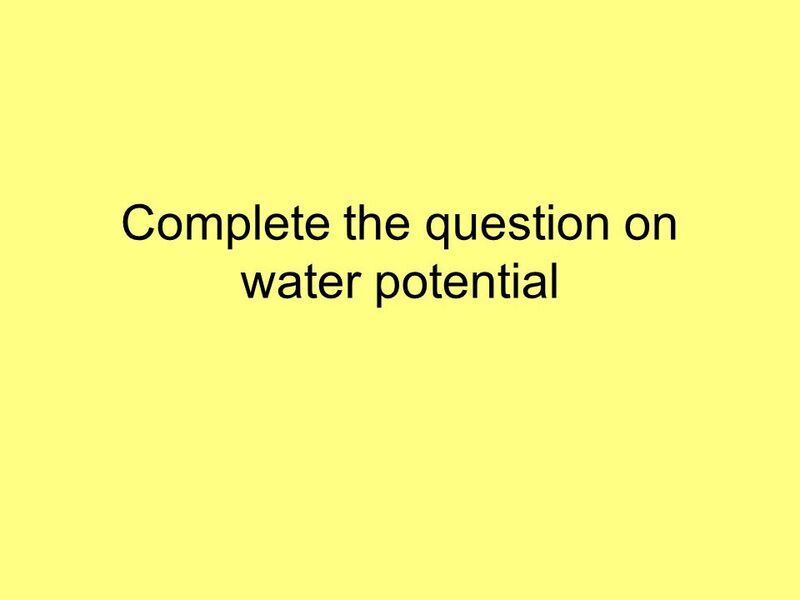 Describe the distribution. 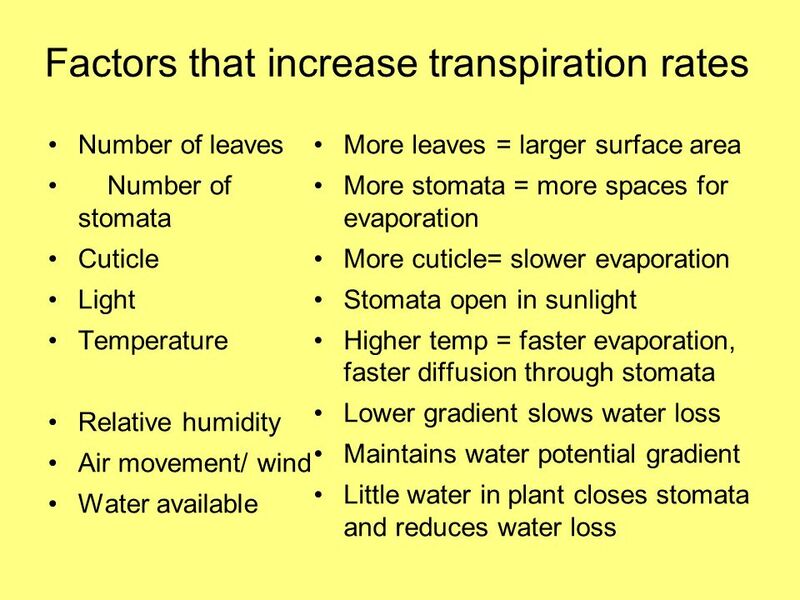 1 Transport in Plants Explain the need for transport systems in multicellular plants in terms of size and surface- area-to-volume ratio. 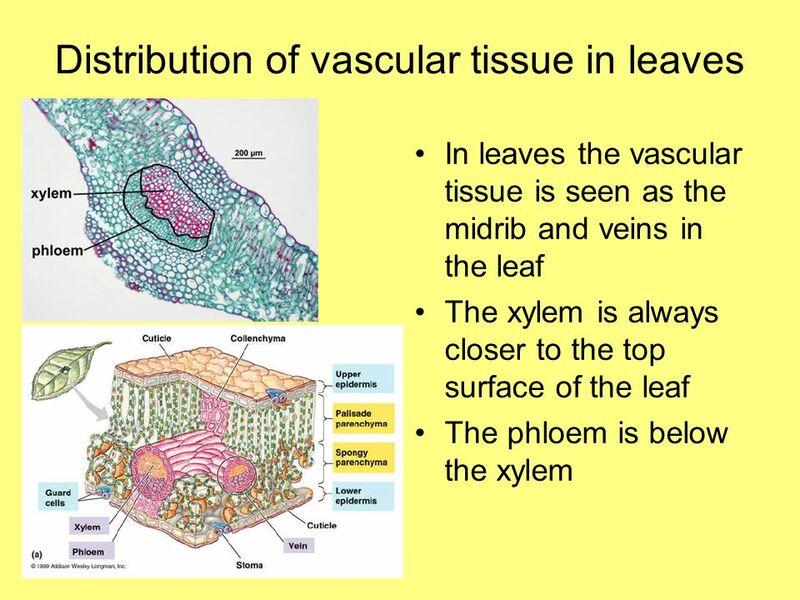 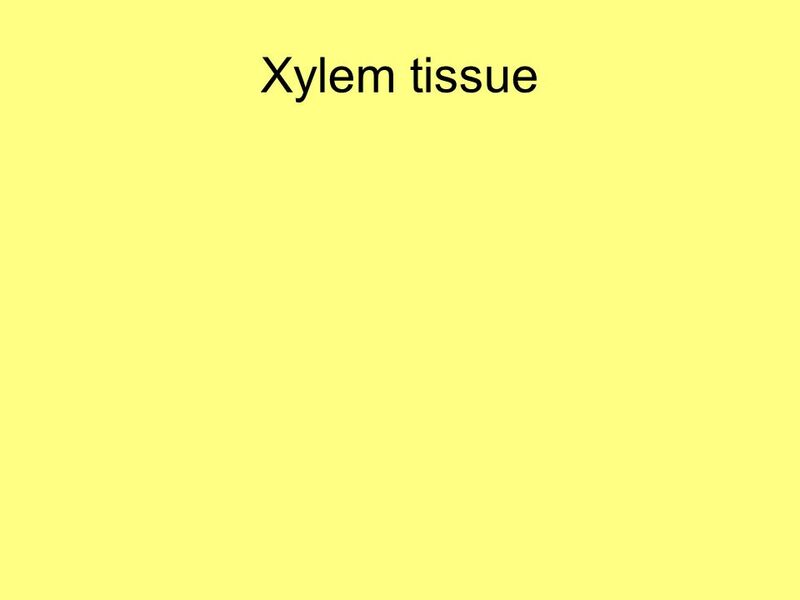 Describe the distribution of xylem and phloem tissues in roots, stems and leaves of dicotyledonous plants. 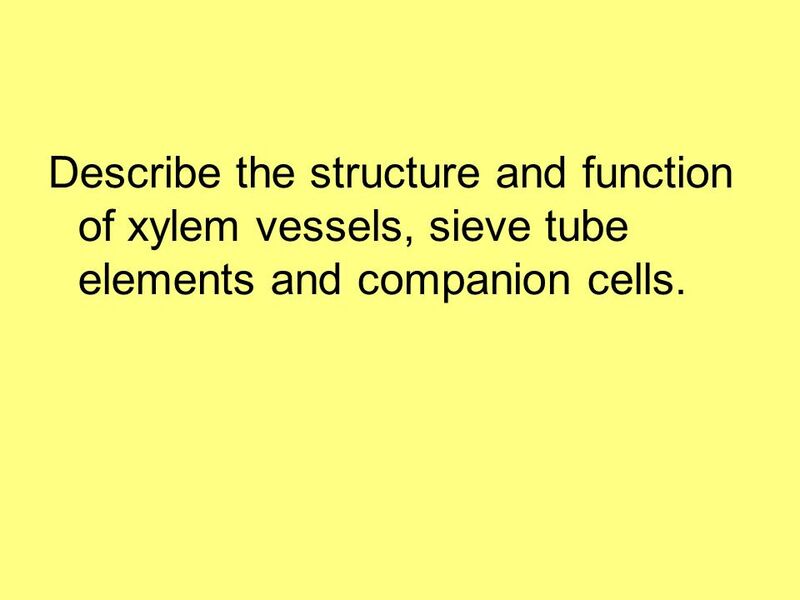 7 Describe the structure and function of xylem vessels, sieve tube elements and companion cells. 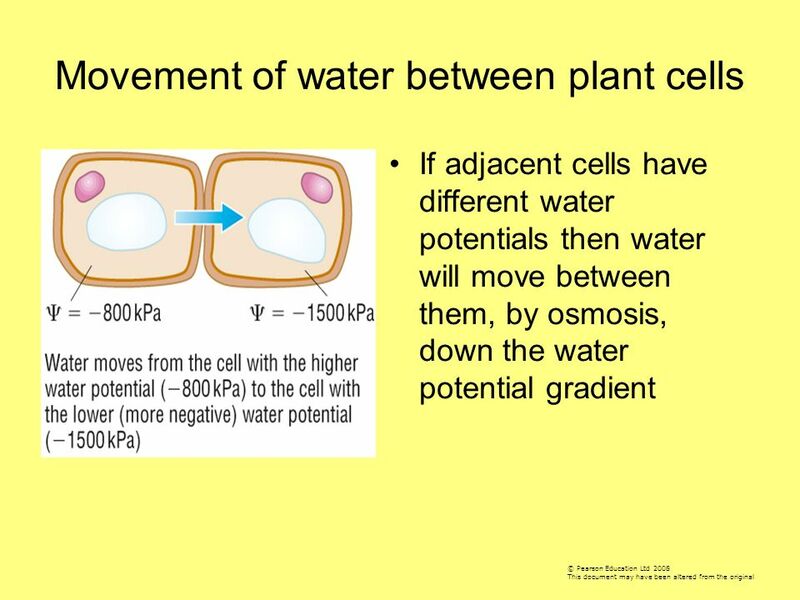 If a plant cell is put into a solution with a much lower water potential than the cell then water will leave the cell by osmosis. 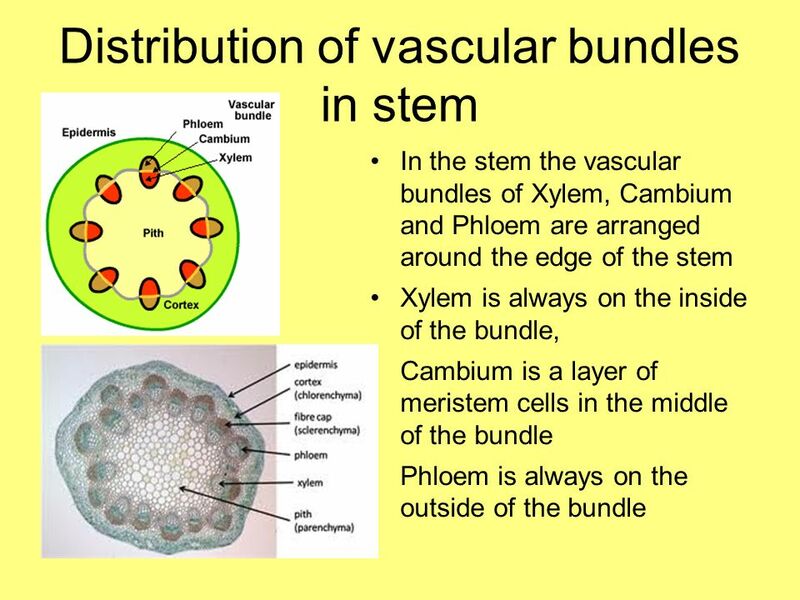 The vacuole shrinks and then the cytoplasm shrinks and becomes smaller in volume Eventually the cell membrane pulls away from the cell wall The cell becomes plasmolysed. 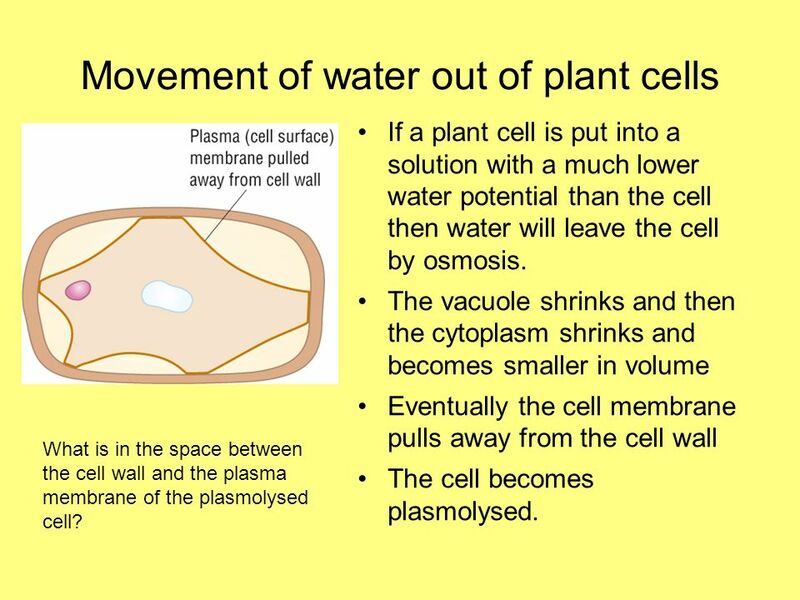 What is in the space between the cell wall and the plasma membrane of the plasmolysed cell? 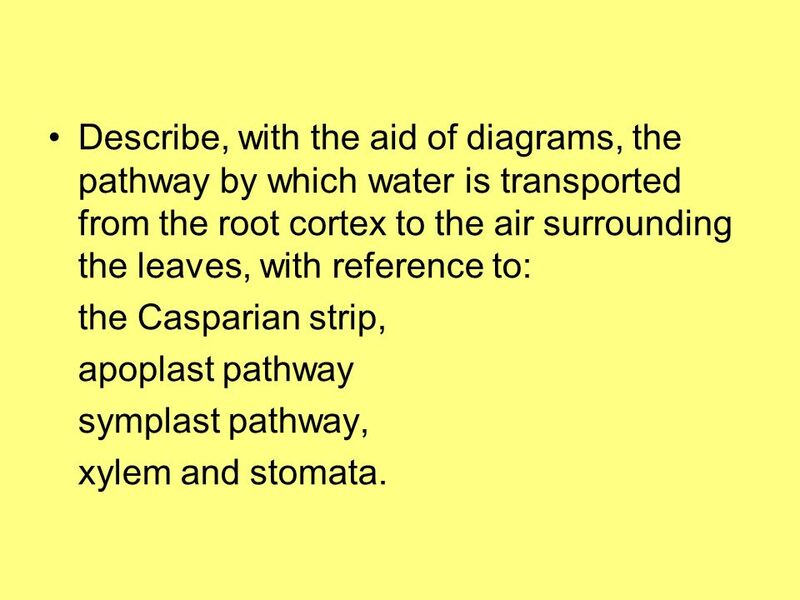 A, the Apoplast pathway. 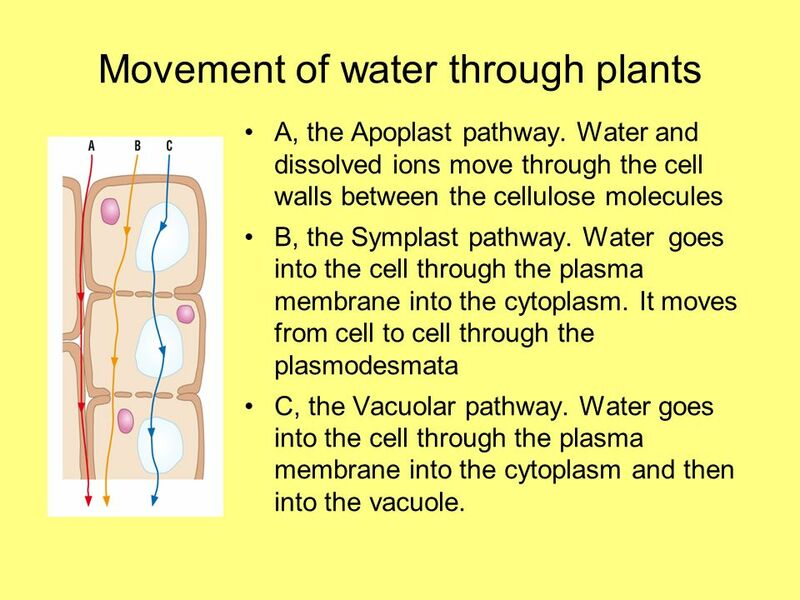 Water and dissolved ions move through the cell walls between the cellulose molecules B, the Symplast pathway. 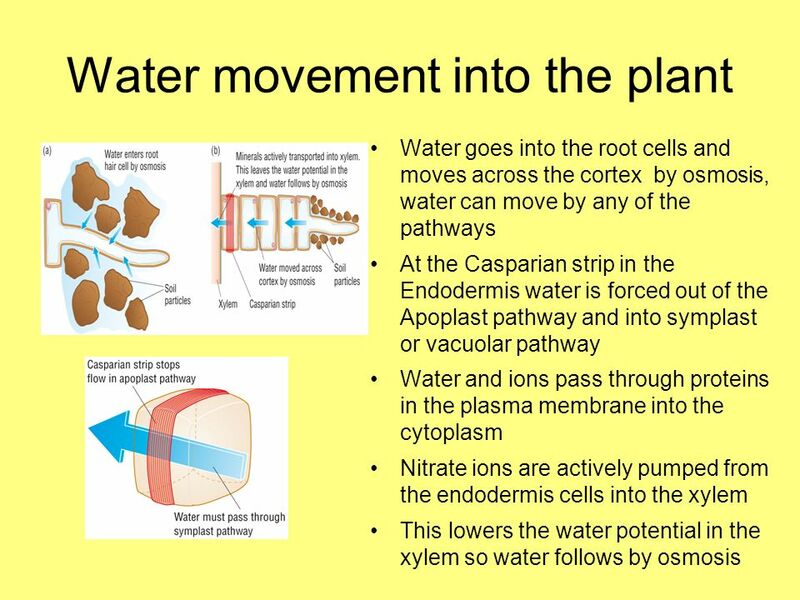 Water goes into the cell through the plasma membrane into the cytoplasm. 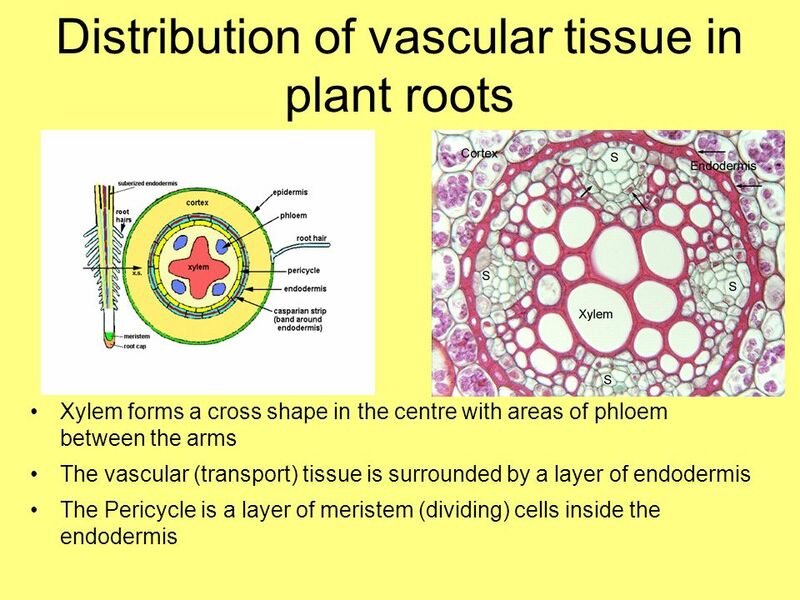 It moves from cell to cell through the plasmodesmata C, the Vacuolar pathway. 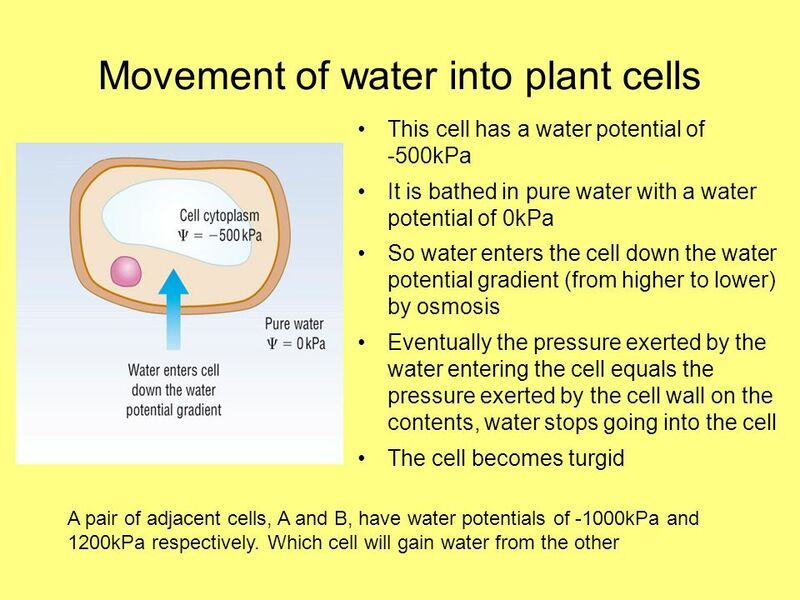 Water goes into the cell through the plasma membrane into the cytoplasm and then into the vacuole. 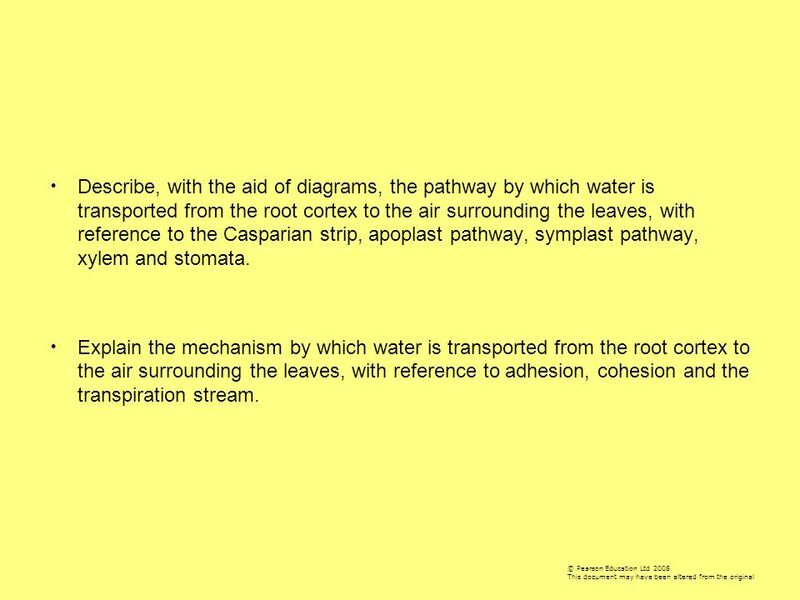 17 Describe, with the aid of diagrams, the pathway by which water is transported from the root cortex to the air surrounding the leaves, with reference to: the Casparian strip, apoplast pathway symplast pathway, xylem and stomata. 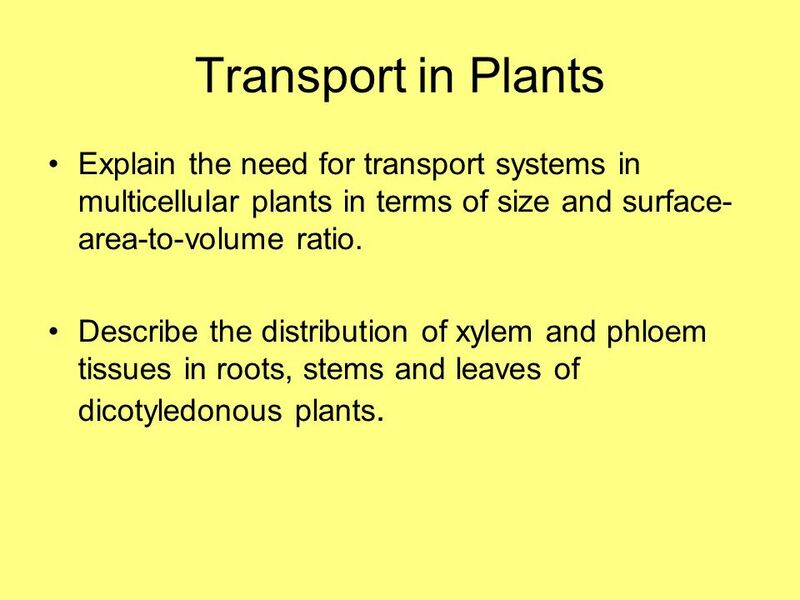 Download ppt "Transport in Plants Explain the need for transport systems in multicellular plants in terms of size and surface- area-to-volume ratio. 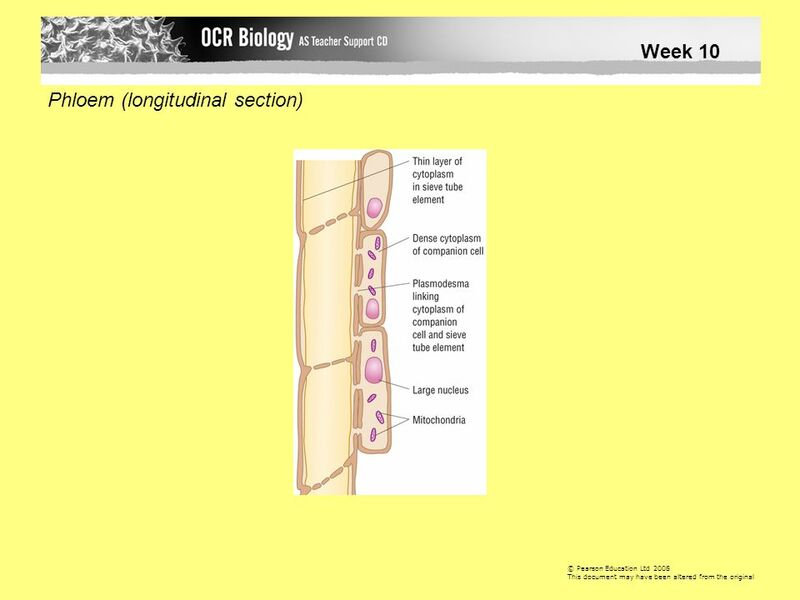 Describe the distribution." 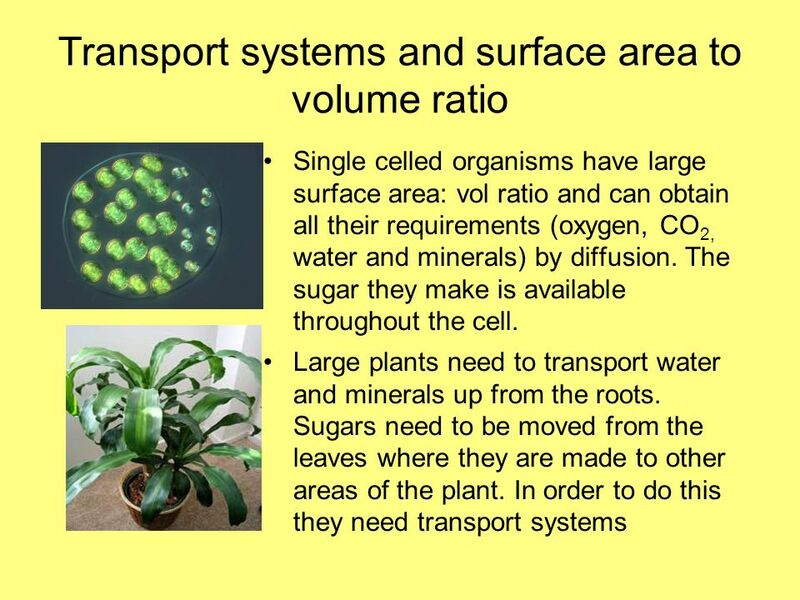 Transport in Plants Explain the need for transport systems in multicellular plants in terms of size and surface area:volume ratio; Describe, with the aid. 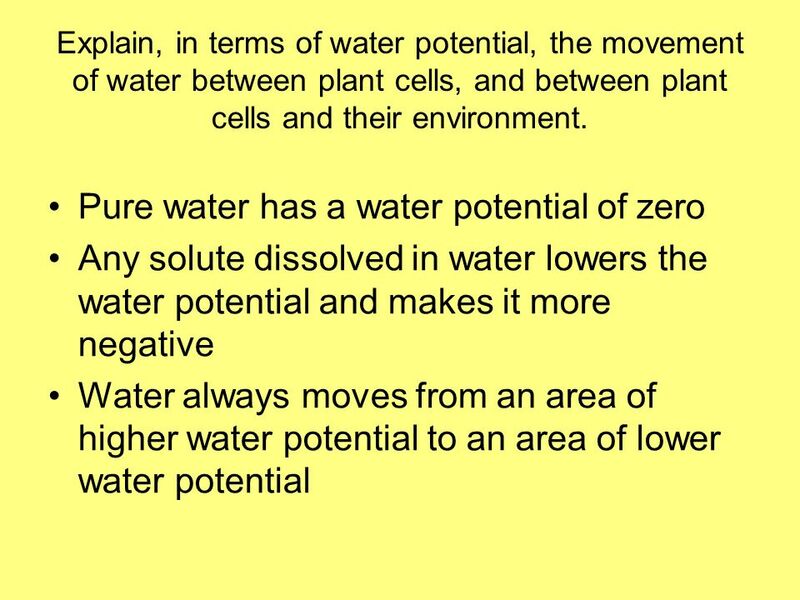 Chapter 36 Reading Quiz What is the diffusion of water called? 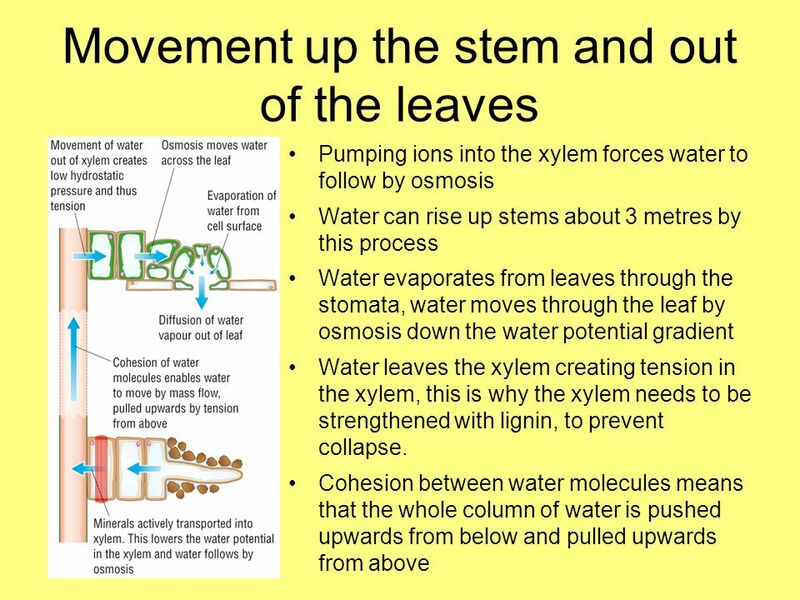 Water Movement Within a Plant AP Biology Unit 5 Review: Properties of Water Water is a polar molecule Water molecules can form a “column” –due to hydrogen. 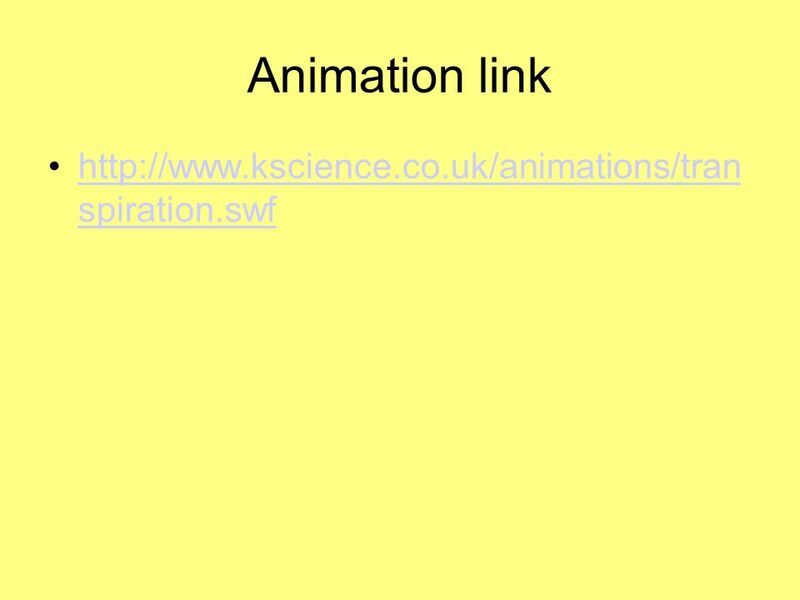 Awais Ahmad. 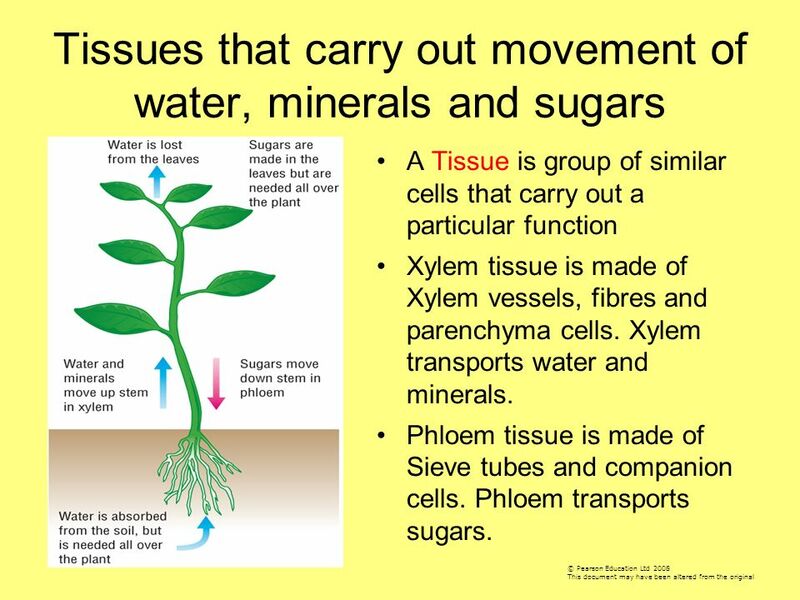  Length of roots = 12 kilometre  Surface area = 5 sq metres  Length of roots + root hairs = 220 kilometre  Surface area = 14 sq metres.